The 2018 Ford Mustang is expected to get a new front end and a 10-speed automatic transmission as part of its mid-cycle refresh. Redesigned for the 2015 model year, the Ford Mustang has become a hot seller, as the new Chevrolet Camaro lags behind the competition with its later arrival. Demand for the sports car has grown overseas and Ford will add the Shelby GT350 and GT350R models to the lineup this summer. 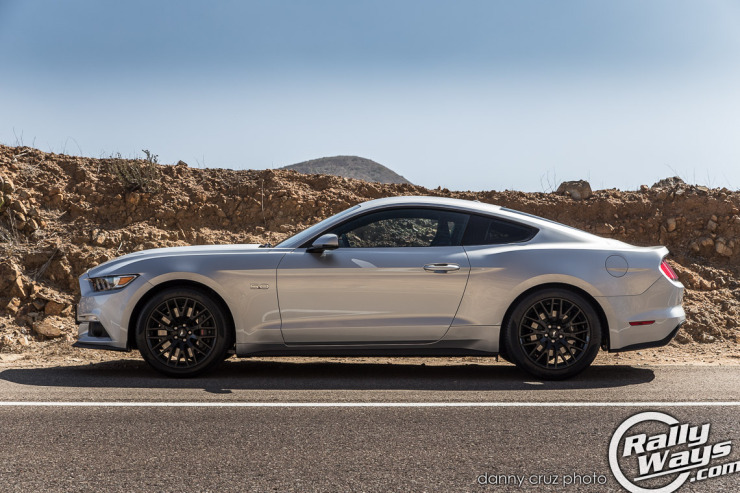 Although it seems too early to talk about a mid-cycle refresh, it is being reported that the American automaker will give the Mustang a facelift for the 2018 model year, along with a new 10-speed automatic transmission. Rumor has it that Ford will also introduce a Mach 1 edition around the same time as the facelift. Expect the next-generation Mustang to be introduced in 2019 or 2020. Other Ford models expected to be refreshed in the near future include the Ford Escape for 2017. Recent spy photos have revealed that the 2017 Ford Escape will have styling changes mimicking what’s found on the redesigned 2015 Edge. A full redesign on the Escape is not expected to come until 2019. The Fiesta will also be redesigned in 2018, at which point production is expected to move from Mexico to Thailand. The Focus will also be redesigned in 2018 and production of that model will leave the U.S. for Mexico. The company’s best-selling model after the F series is the Fusion, which will receive a minor facelift in 2016, giving it a more upscale appearance. For more details about this piece, 2018 Ford Mustang Getting Facelift, 10-Speed Automatic please visit AutoGuide.com. Right now the face is the weakest point of the Mustang. A new one with improved drivetrain choices would be welcome. 70 Stang and Texican1911 like this. And abouth that 10 speed trans... is time to launch it... Ford is sooooo slow to make better transmisions...!! I think the current face is a beaut. But on the transmission, I'd be happy to see that 10 speed implemented for sure, though it has no bearing on my purchase seeing as I wouldn't buy a Mustang with only two pedals. I don't dislike the face of the Mustang, what I have a hard time with is the body line is nearly flat. Typically a car looks better with a little body line slant, dropping from the rear to the front. I love the rear end, like the front end, love the roof line and shoulders, but that **** near flat line from the door to the nose just looks off to my eyes. Yeah I would definitely agree with you on that one. Notice how that rake is more prominent on the CnD render than the actual product? Read more about the 2018 Ford Mustang Getting Facelift, 10-Speed Automatic at AutoGuide.com. As a retired Ford Transmission Engineer, yes Ford is extremely slow at getting new products to market. Also if 2018 MY is correct, how will this affect Mustang sales when the 2016 Camaro launches with the A8 for the 2016 model. I have a 2015 Vette with the A8, and I hate to say it, but this is the best auto trans I've ever driven.